A friend of mine has mastered English - which is attested by a CPE certificate - by looking up a word and carefully studying examples in a dictionary every day before going to bed. It was before the days of online dictionaries, so he was using a copy of the excellent Longman Dictionary for Advanced Learners. 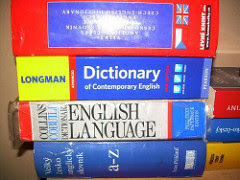 In the 1990s learners' dictionaries, such as Longman or Oxford Advanced Learner's Dictionary (OALD), started breaking away from the native speaker dictionary format (such as dictionary.com) by introducing two innovations. 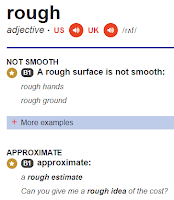 First, they started providing definitions using a controlled vocabulary - in the case of Longman it was the Longman Defining Vocabulary (LDV), a carefully graded list of the 2000 most frequent words in English, similar to West's General Service List (GSL). 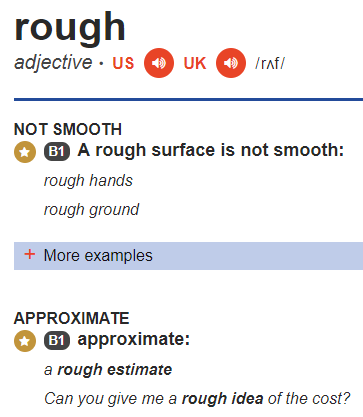 Second, they shifted the emphasis from purely defining meanings to highlighting usage through carefully chosen examples. As dictionary publishers moved increasingly towards online platforms in the 2000s - and some discontinued the printed version, for example Macmillan - learners' dictionaries made further strides towards improving learner experience. 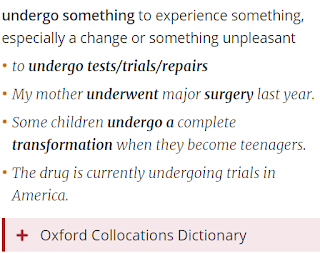 Today's online learners' dictionaries (see the list in my Essential lexical tools) not only offer natural examples and highlight co-text, their entries come complete with collocation boxes, grammar information and common error warnings. All this makes a good learner’s dictionary an essential, indeed indispensable, learning tool. Yet, despite their obvious benefits, I find, much to my regret, that online dictionaries are underused by learners and teachers alike. Here are some activities to get your students using learner's dictionaries and hopefully starting to appreciate their value. and ask them to write an example with each. To do that, they have to look up the adjectives in an online learners' dictionary to find the right dependent prepositions, e.g. 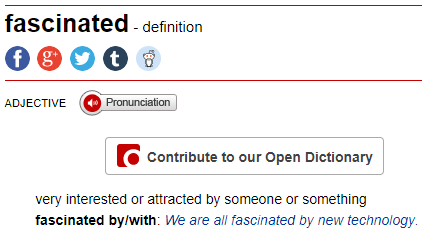 fascinated by/with. The same can be done with verbs and dependent prepositions, such as accuse of, succeed in, prevent from etc. As a follow up, students can be asked to use these in context / create examples. Provide a list of sentences some of which contain mistakes with word grammar, e.g. wrong dependent prepositions (see above) or incorrect pattern (e.g. an infinitive instead of a gerund). The company have succeeded increasing their profits by 25% this year. We finally finished to pack at midnight. One hour session with a therapist cured her of her phobia. We didn't have any difficulty to find the place. The sentences for the activity can be drawn from students' essays and other writing. ü Why are you angry at me? At the end, each student shares with the class one new useful collocation they have discovered. The activity shows that examples found in different dictionaries are surprisingly similar, because many (particularly less frequent) words occur in predictable combinations and in narrow contexts and, therefore, should be learned in context. 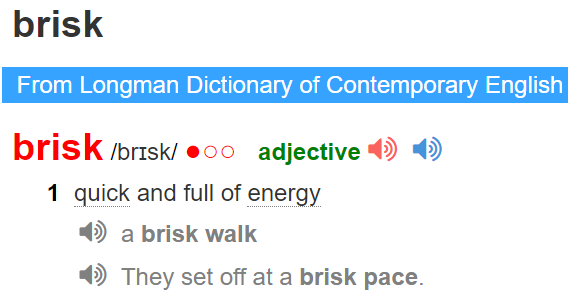 Look up "brisk" and you'll see that it always collocates with walk, while "sprawling" is almost always used to describe cities. I'll let you find out the others by yourselves. Admittedly, it is not the most efficient way of teaching new vocabulary (making up definitions take up a lot of time), but it's a good activity to get students writing. 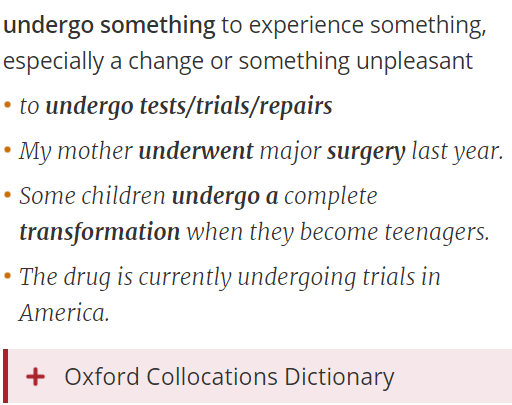 Of course, there is also a danger here, that students might end up remembering one of the fake definitions but very often clever fake definitions can serve as mnemonic devices. Give groups of students a list of 6-7 words and have them look up each and copy out one example. They then pass their examples to another group who should make up a story using the given examples (sentences). They have to use all the sentences in the set. Overcrowding in secondary schools is pretty severe. The company hopes to launch the new drug by next October. Use a soap that is mild on the skin. Some children undergo a complete transformation when they become teenagers. The children perform two plays each school year. In conclusion, I would like to thank our guest speaker. Do you use dictionaries in class? What do you or your students do with them? Do share in the comments below. Dictionaries seldom provide meaningful etymologies for idioms formed by phono-semantic matching (PSM) or reversal. Knowing the actual derivation helps the student remember the idiom and how to use it. Idioms formed via PSM form an interesting class. Most of them are foreign words or expressions transliterated to common words of the target language which retain the semantics of the source. As such, they represent disguised code-switching, usually so well disguised that the speaker / writer and hearer / reader (and, it seems, dictiionaries :-) do not realize that a switch has occurred. English examples: let the cat out of the bag, left holding the bag, kick the bucket, and many others. After formation, the resulting idiom may be translated to other languages. For example, the Hebrew phrase that means "count sheep!" sounds like the Latin phrase that means "deep slumber". Do sound like Hebrew spor keves ! We now tell you "count sheep !" That pun's for a polyglot, yes? You can download these files from my Dropbox to see my thoughts on idiom formation via PSM. ​​This method of formation explains why PSM idioms tend to be relatively inflexible. Both the word divisions and parts of speech in the source and the target idiom may not match. In some languages, some idioms are formed by reversal. This occurs in both Hebrew and English. In the English idiom "conniption fit" (a panic attack), CoNNiP is a reversal of PaNiC and FiT is a reversal of TiFF which is a reversal of FighT. ​​A reversal may even occur across languages. English posh is probably a reversal of Hebrew SHeFa3 שֶׁפַע which means "abundance, o​p​ulence, luxuri​ance." It's really good information to equip ESL learners with new words with the help of novel ideas. Just to let you know that we’ve shortlisted this blog post for this month’s TeachingEnglish blog award and I’ll be putting up a post about it on Sunday’s TeachingEnglish Facebook page http://www.facebook.com/TeachingEnglish.BritishCouncil, if you’d like to check there for comments. Truly remarkable article I must say. I got to gain a lot new and valuable information on what I was until missing on. Thank you for making such an considerable article available to us. Keep writing.